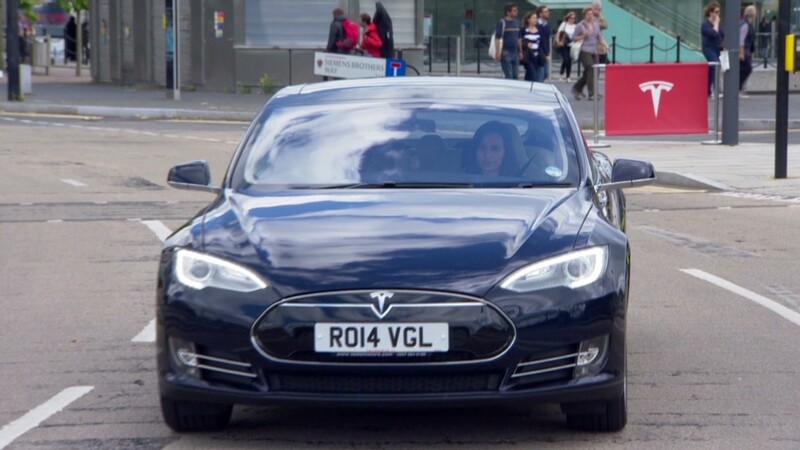 Tesla in Britain: Fit for Royalty? Tesla is hoping its luxury Model S car is good enough for the Royal family. Tesla (TSLA) sold its first batch of right-hand drive cars to customers in the U.K. over the weekend, and has installed its first charging station in the country. The company reckons its zero-emission vehicles could even win over members of the Royal household. 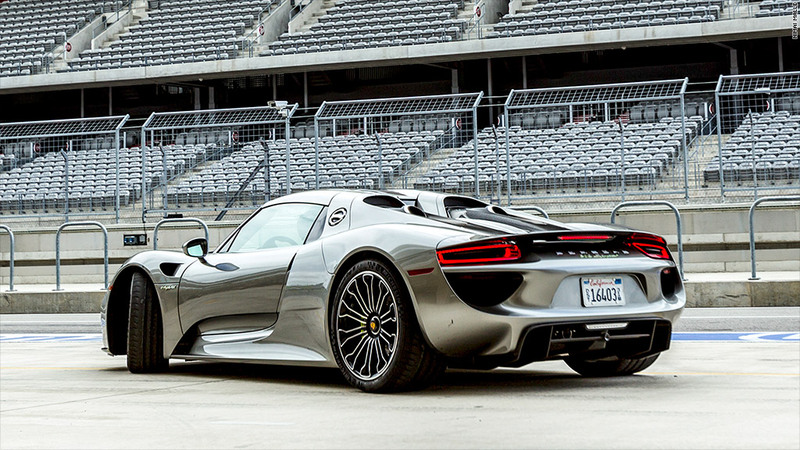 "I think they're interested in beautiful performance cars," said country manager Georg Ell. Perhaps most likely to swap their Bentleys, Rolls-Royces or Daimlers for a Model S would be Prince Charles, known for his support of environmental causes, or the next in line to the throne -- the Duke of Cambridge and his wife (aka Will and Kate). "I would love it if they [bought a Tesla] and we'd be very happy to help them with that," said Ell. Prince Charles customized his 1960s Aston Martin convertible to run on bioethanol made from English wine before it was used to chauffeur Will and Kate from their wedding ceremony. A Tesla has already been driven into the grounds of Buckingham Palace. The Duke of York -- the Queen's third child, Andrew - asked Tesla to show off the car as part of an event to encourage British youth to develop their digital skills. Tesla has devoted a significant portion of its research and development budget over the last few months to customize its Model S cars for the U.K..
CEO Elon Musk told reporters he hoped the U.K. could become Tesla's third largest market, after the U.S. and China. 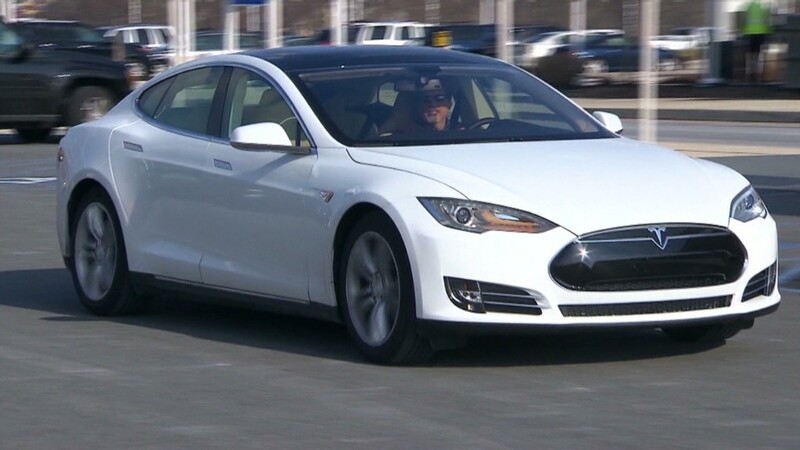 Tesla currently sells its Model S in the U.S., China and various countries across continental Europe. It is now looking to expand into other right-hand drive markets such as Australia, Japan and South Africa. Prices for the Model S start at $69,000 in the U.S. and £50,000 in the U.K. It is also working on two new models and has been vocal about plans to create a more affordable all-electric vehicle. Dr. Sati Sian, who was among the first Tesla buyers in the U.K., told CNNMoney he and his family were thrilled with the purchase. "We love the car. We're looking forward to driving it," he said. "This is the future." Tesla has sold over 32,000 Model S vehicles since it started deliveries in June 2012 in the U.S.